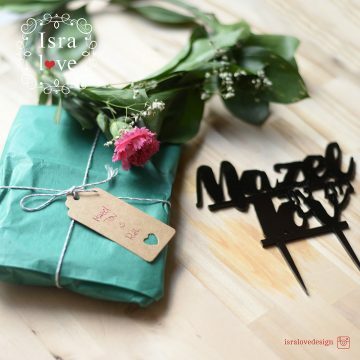 Isralove - Handmade home decor and Jewish gifts. From Israel with Love. 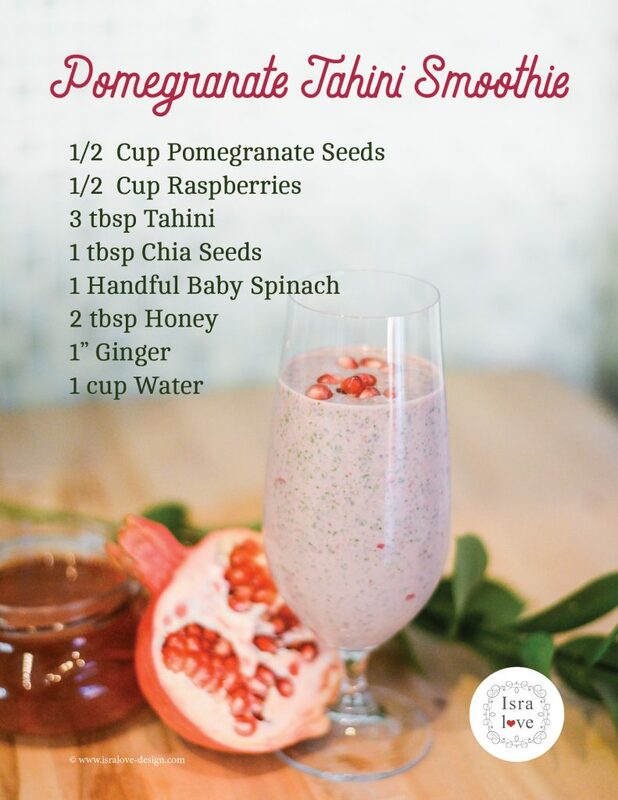 Year in Review - Rosh Hashana! Mealtime can be fun and educational! 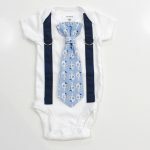 Jewish Baby Gift Ideas Part ONE(-sie)! 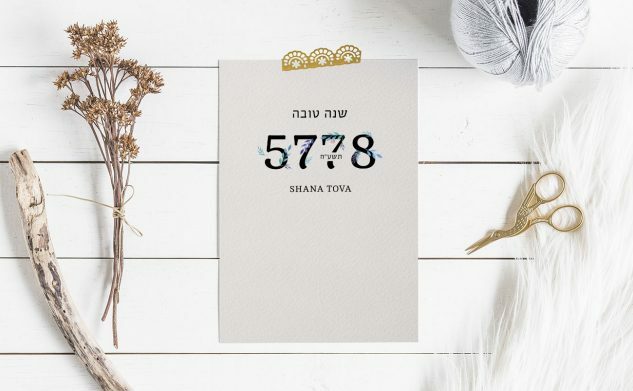 A year has passed and we are about to celebrate the Jewish New Year of 5778. Two more days until we will be dipping apples in honey, and eat some pomegranate seeds for Rosh Hashanah of course. 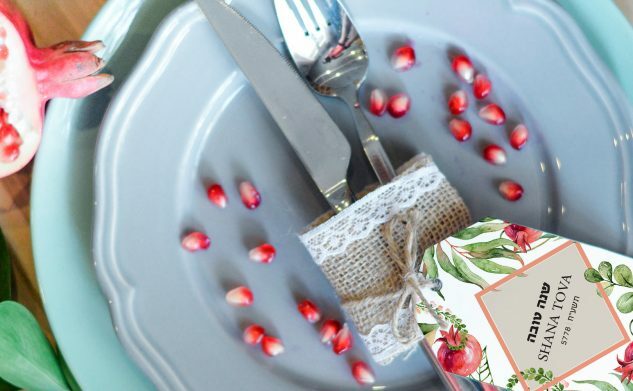 Around the Jewish New Year there are pomegranates all over Israel, so why not have them as table decoration or even a smoothie?! Proud to present our Smashing The Glass Vendor Badge! 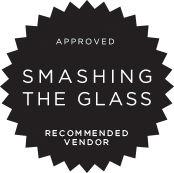 Isralove is extremely honored to be a Smashing The Glass recommended Vendor! 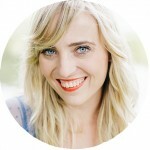 Keren’s blog is such a creative, inventive and original resource for style-focused Jewish weddings. If you are not following her stunning Instagram account yet, it’s definitely a must-follow! 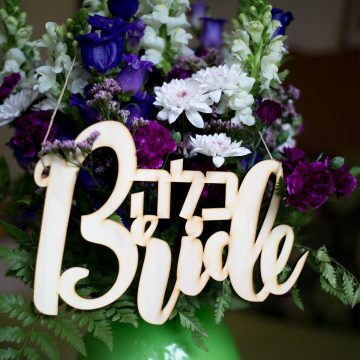 The latest addition to my Isralove shop is the Jewish wedding section, to make your special day perfect by adding some Hebrew details to the decoration. 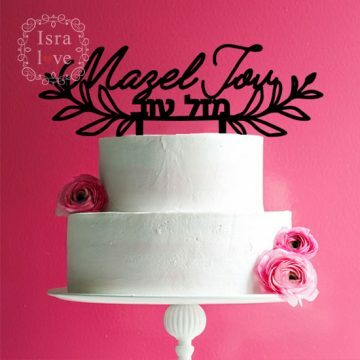 I offer bilingual, “Hebrewish” cake toppers, chair signs for the bride and groom, table numbers and more, plus they are all made in Israel. 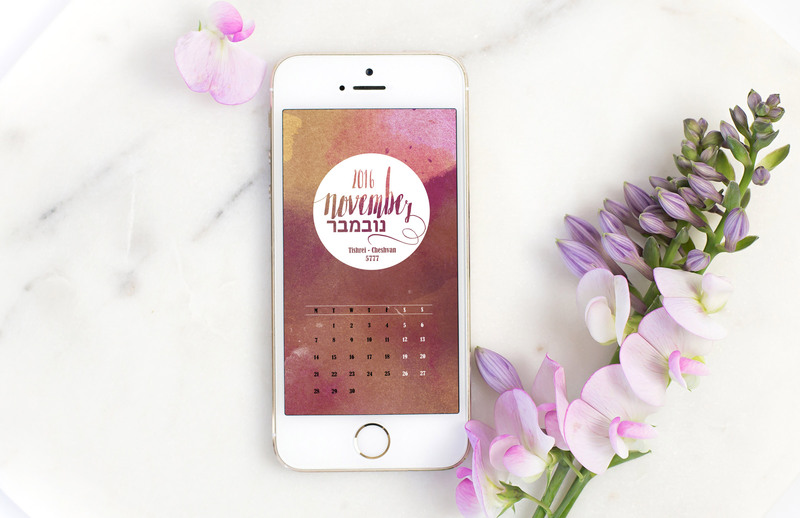 Have a look at Isralove’s new designs here and stay tuned to hear more about this exciting collaboration including a special Jewish Wedding giveaway! 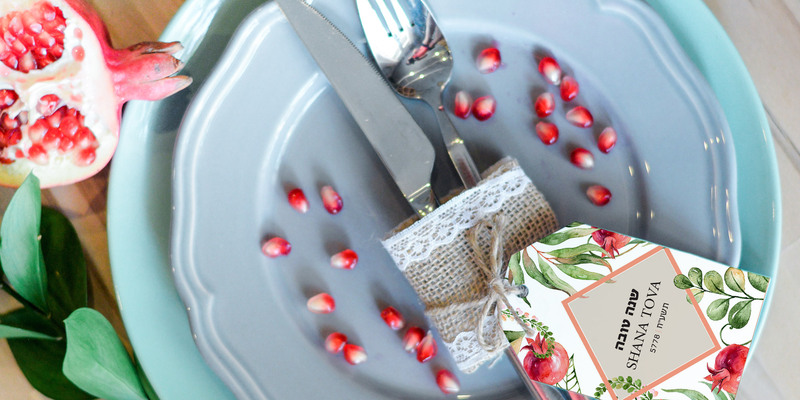 Need some last minute tags to upgrade your party decoration? 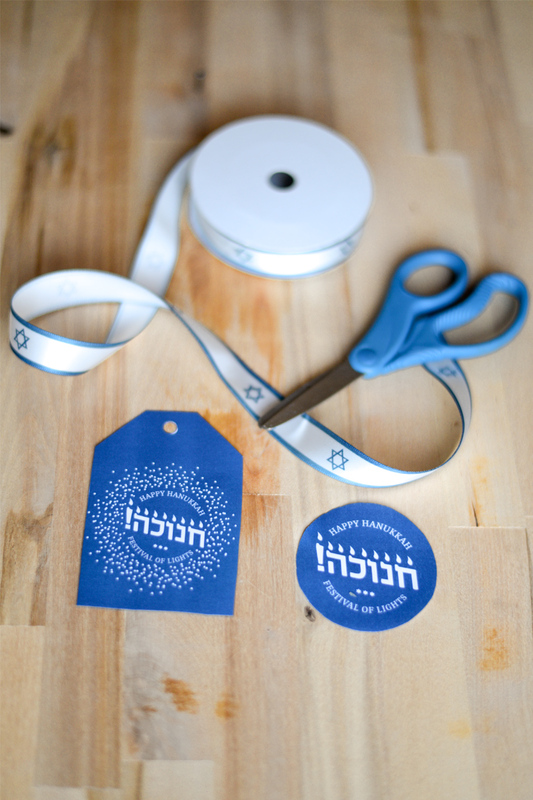 These blue and white tags say “Yom HaAtzmaut” in Hebrew and “Happy Birthday Israel” next to the little Israel flag including the star of David. They come in 2 shapes: rectangle and banner style, and are available instantly for download. Add them to any gift, jar, silverware or favor. 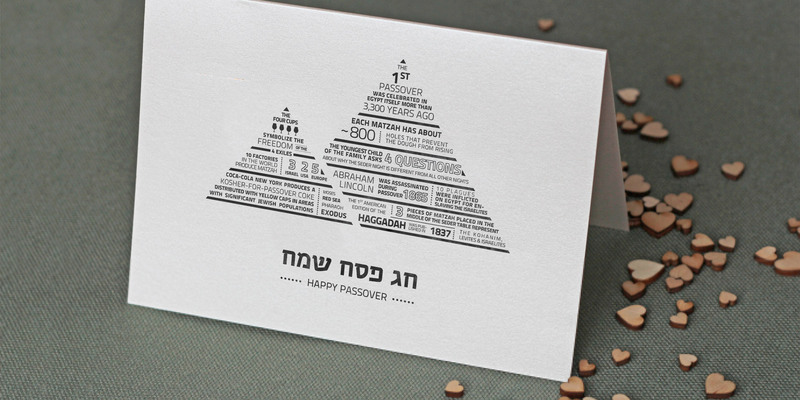 This infographic Passover card sums up all the important information you need to know about the upcoming Jewish holiday – Passover. 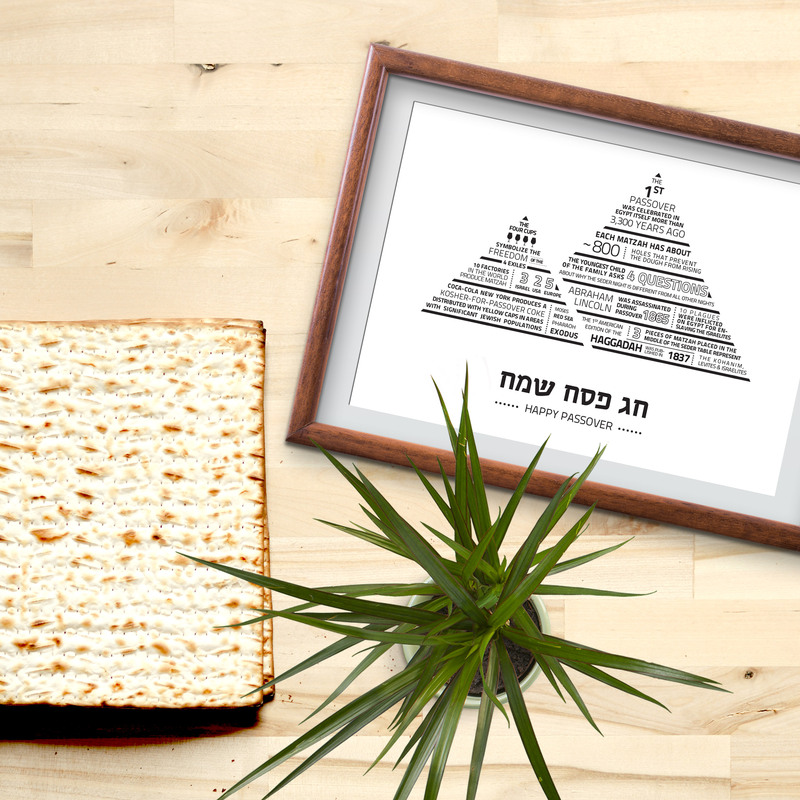 Print the file as your greeting card for your Jewish friends, or frame it for your office, temple, school or kindergarten etc. This is an interesting way of learning facts and figures related to Passover, the Seder,Matzah, Pharao, the people of Israel, Egypt and more. ► How many holes are there in one Matzah? ► What do the 4 cups of wine at Passover symbolize? ► When was the first English Haggadah published? ► How many factories are there worldwide which produce Matzah? 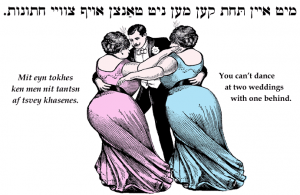 “You can’t dance at two weddings with one behind” says an old Yiddish proverb, which is used in a slightly different way in Hebrew nowadays as “You can’t dance at two weddings in the same time”. Last year, my grandmother celebrated her 90th birthday and we went to Germany for the celebration which happened to be exactly during Purim. My son was learning all about Purim, the Megillah, costumes and more at his Gan, but unfortunately we had to take off just before the holiday. While staying in Germany he continually asked if there will be Purim once we get back and if he can dress up as a firefighter this year. With a heavy heart I had to explain him that the Purim party at the kindergarten won’t wait till we return and that he will have to wait until next year. He couldn’t dance at two parties in the same time. A year has passed, and it’s almost Purim. This year he can finally dress up as firefighter Sam, 3 times at least, with all the parties we have been invited (so far). Purim is one of the most joyous and fun holidays on the Jewish calendar. Not only for kids. You all may know about reading the Megillah, making noise and eating Hamentaschen, but there is one Purim custom for adults you may not know about – GETTING WASTED! The Aramic word explains how drunk Jews are obligated to get: so drunk that they can’t tell the difference between Haman the cursed and Mordecai the blessed. 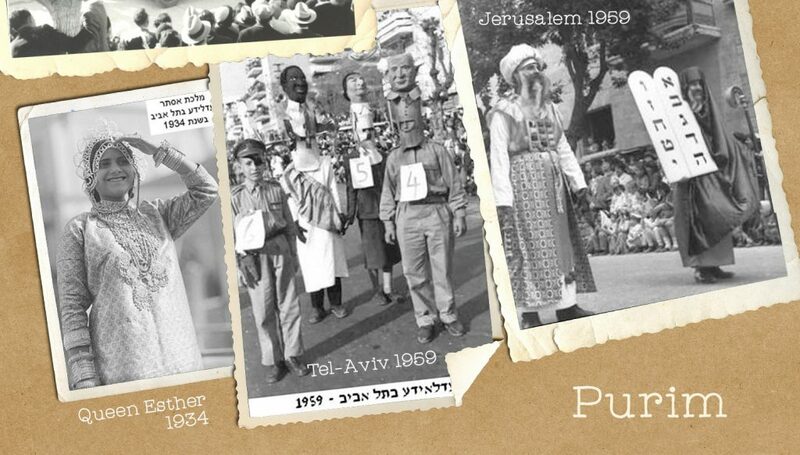 Adloyada became the official name for the annual Purim parades in different cities in Israel. Costume parties throughout the country happening at the same time. Here are some pictures from 1934 and 1959 I stumbled upon, from “Adloyadas” in Jerusalem and Tel-Aviv. 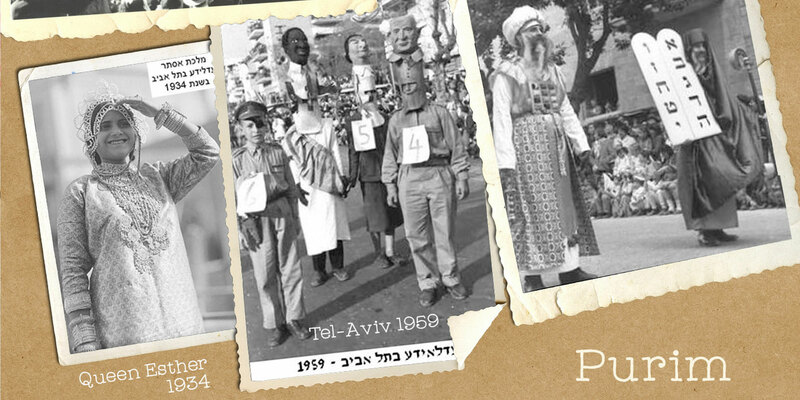 If you scroll down you can also watch a video from Purim in Tel-Aviv, 1934. 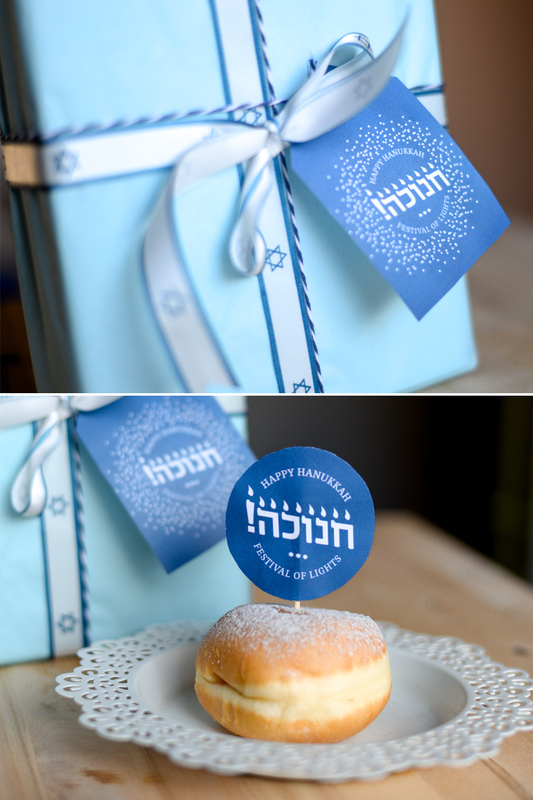 Wishing you all a joyful and happy Purim, if you need some last minute Mishloach Manot tags download them here for free. 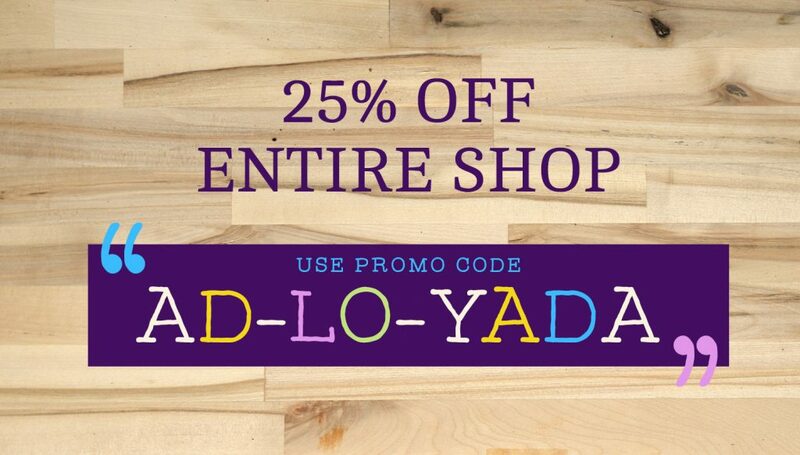 And last but not least, “ad-lo-yada”, is also our discount code to receive 25% off our entire shop at www.thesabrapatch.com. (NO, WE ARE NOT DRUNK YET). 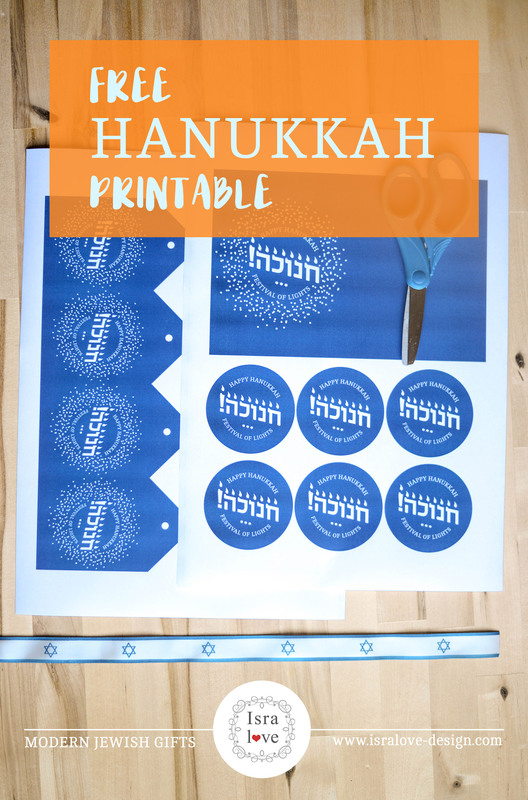 Hanukkah – free printable gift tags and more! What I love about social media is that you get to know people from all over the world. I “met” Yael from the Jewish Latin Princess on Instagram a few months ago. I am in Israel, she in Texas… but it’s 2016, well almost 2017, and collaborating with other talented, creative people around the world, who share the same passion for modern Jewish gifts, is made easy thanks to Mark Zuckerberg and others. 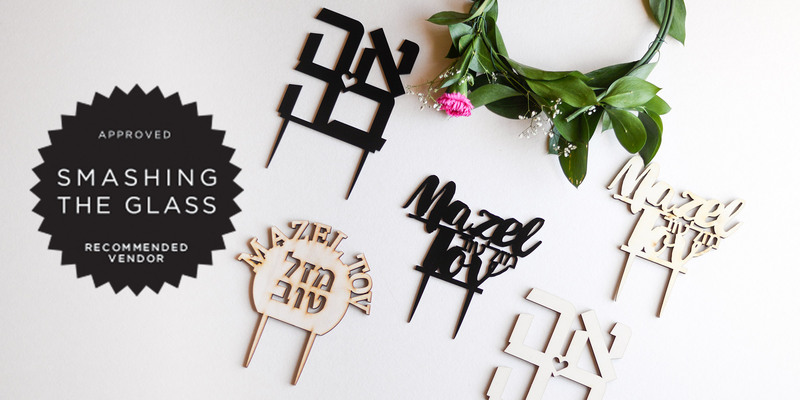 Yael is hosting a special Chanukah giveaway where you can win our personalized Hebrew mug! Head over to enter – there are still 24 hours left! Of course, those of you who don’t win the contest, aren’t left out. There is a special 15% discount on our shop for all JLP readers. You can get the Promo code on Yael’s blog. 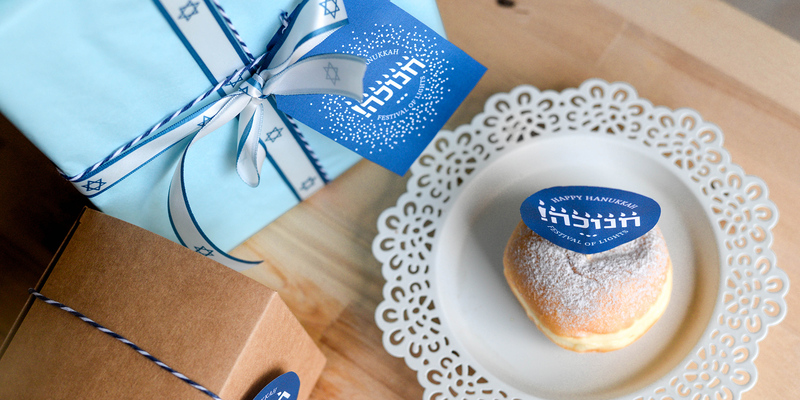 In addition, download this free printable for Hanukkah which includes gift tags, a greeting card and round Sufganiyot toppers! You can download our free Hanukkah printable, print it at home on cardstock or regular paper, cut them out and attach them to all your Hanukkah gifts this year! 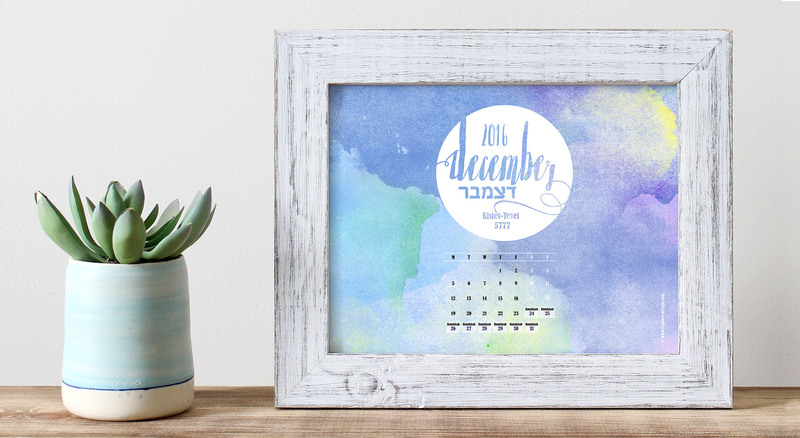 The Isralove free printable is the perfect Hanukkah decoration for your home, Jewish preshool, Shul etc. and can be a Hanukkah craft as well. 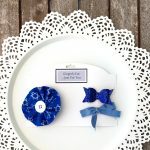 Even smaller children can add a drawing within the free printable Hanukkah cards, write their name on the back of the gift tags or create a Hanukkah Garland with the circles. 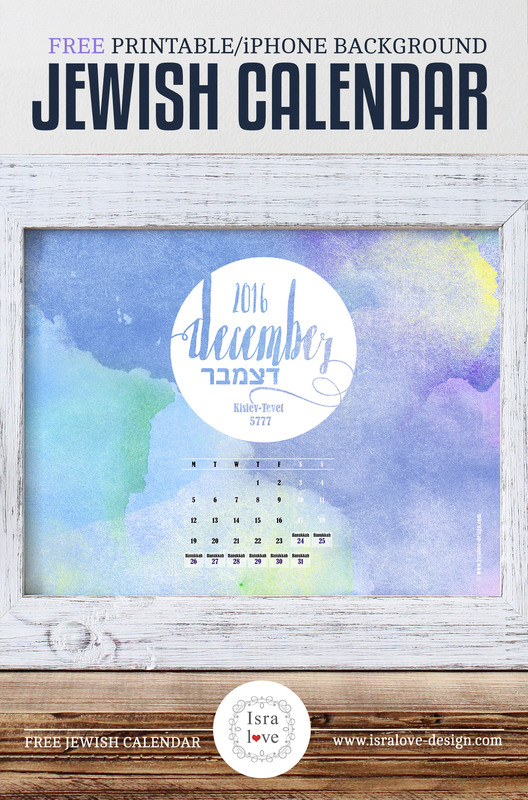 Your free Jewish calendar for December! 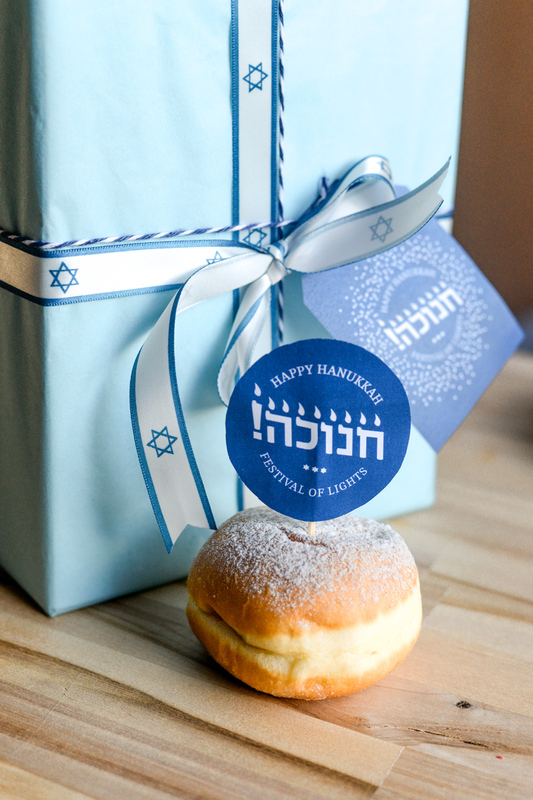 Hanukkah seemed so far away, and here it is – only 3 weeks away! 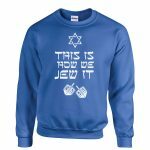 If you are still looking for some gifts for the festival of lights – you might wan’t to check out the Isralove gift guide. 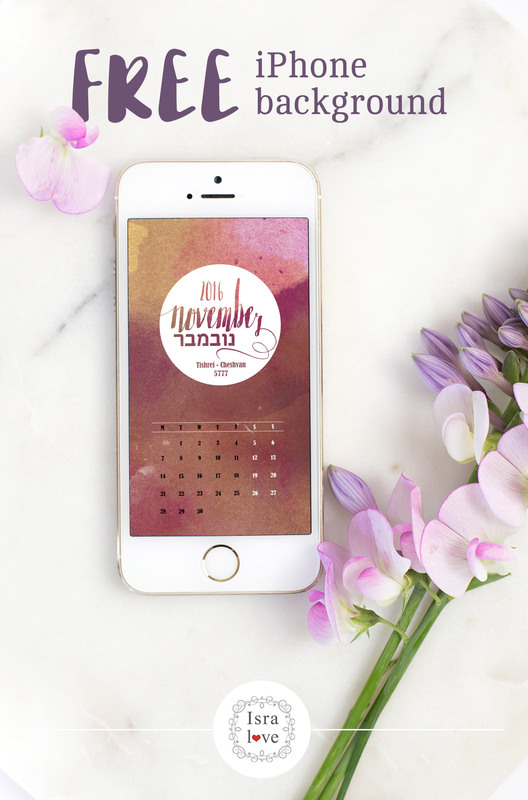 And since it is the first day of December, and Israel is finally blessed with some rain – it’s time to update your iphone background to our Jewish calendar for December. 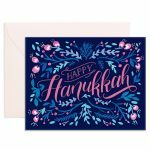 Hanukkah gifts for the whole family, including pets! I can’t believe we are almost there – Hanukkah is next month. 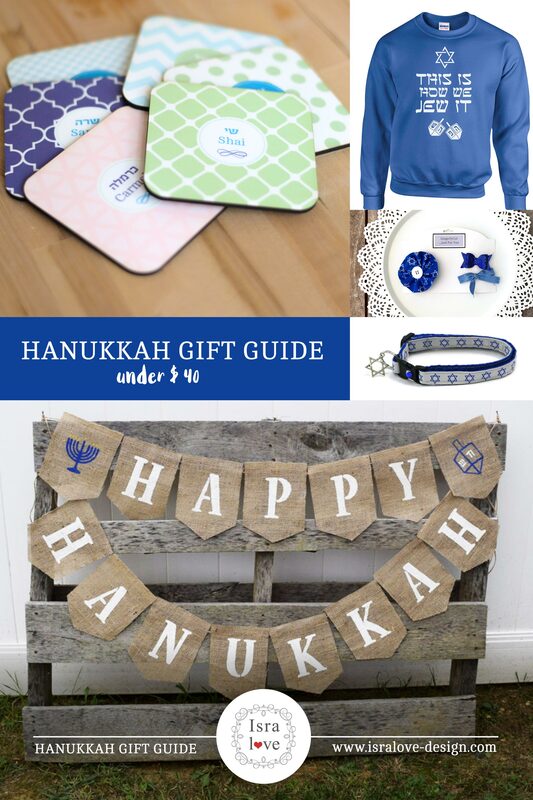 Get in the Hanukkah spirit with this Hanukkah gift guide for your loved ones, Jewish friends or even their pet! 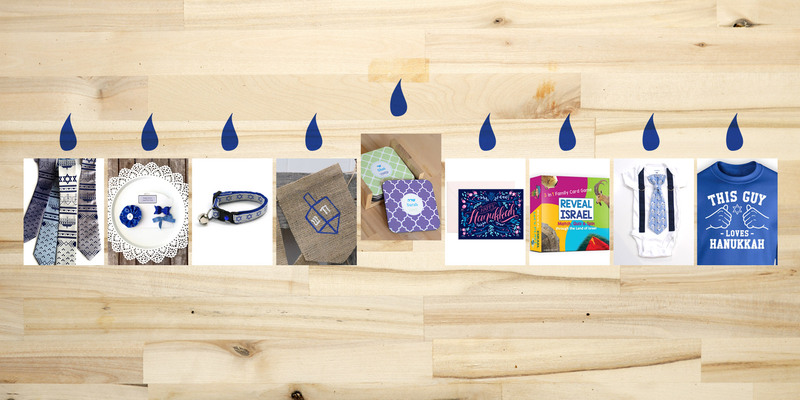 Celebrate this Jewish holiday by giving one of these 9 fun and stylish gifts – all under $40. From ties to cat collars, there’s something for everyone. 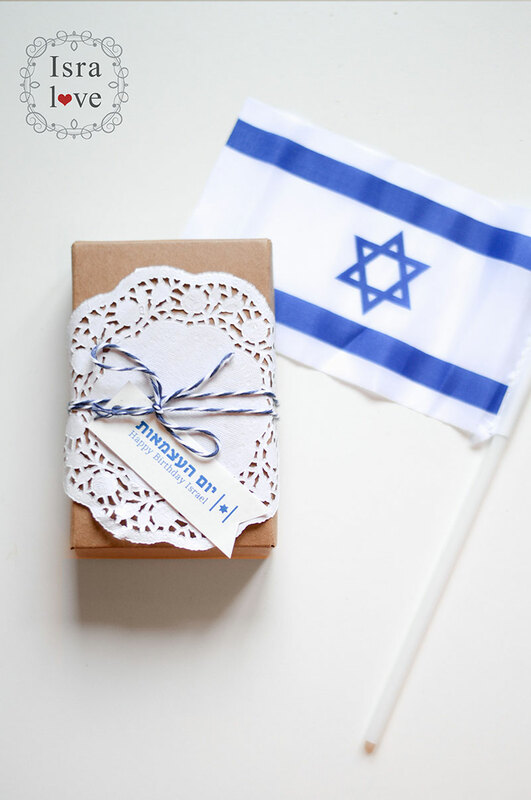 Some gifts within the list are shipped from Israel – make sure to place your order in time! 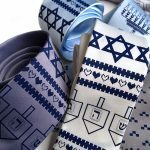 FOR HIM: I know how hard it can be to holiday shop for men – so let’s start with the first gift: A Hanukkah Sweater Tie with holiday icons. KIDS: You can’t go wrong with these fun and festive bow sets for your niece, daughter or Jewish friend’s child. CATS: Let’s face it! For most pet owners their dog or cat is an equal family member. Don’t leave them out when crossing people off your Hannukah gift list. 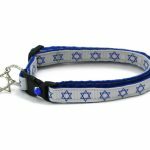 Isn’t this Hannukah cat collar adorable? 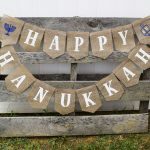 FOR YOURSELF: Celebrate the 8 festive nights with this custom Hanukkah burlap banner which can be used next year again! THE WHOLE FAMILY: If you need ONE gift for all family members – this is the most personal and special gift including all family members. 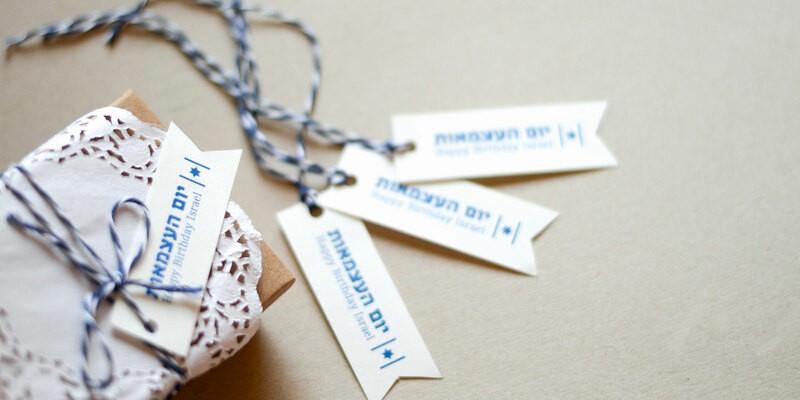 Personalize each coaster with the Jewish names of your family or Jewish friends. The Set can include 4-8 coasters, including pets – if you like! 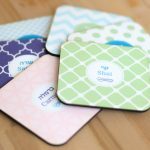 Personalized Hebrew and English coaster set for the whole family. 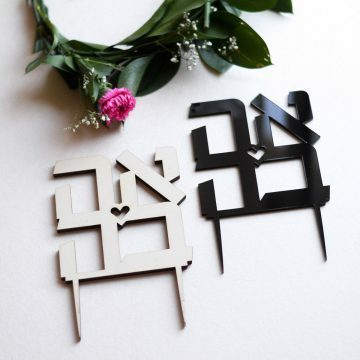 YOUR HOSTESS: It’s no secret – we at Isralove adore typographic artwork – especially such a beautiful contemporary Jewish design. 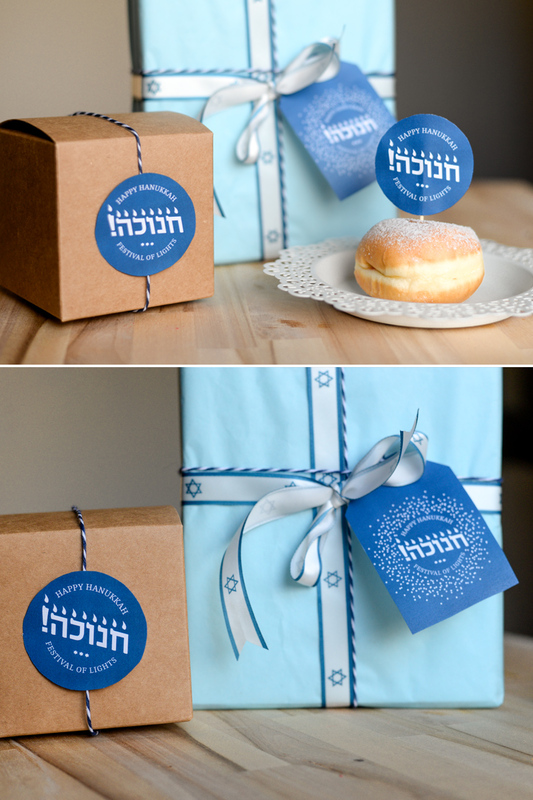 This Hannukah greeting card is perfect for sending someone a personal ‘Chag Sameach’ note. 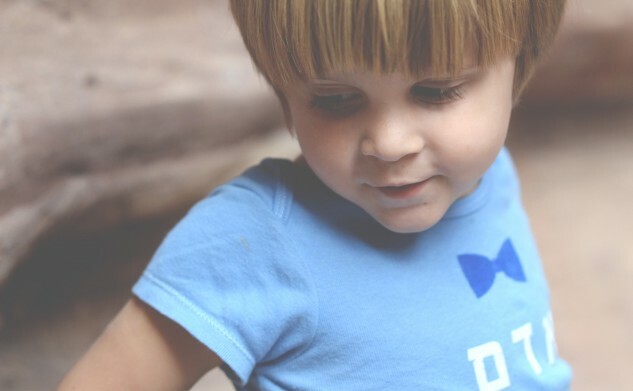 THE WHOLE FAMILY (age 3+): Can’t get to Israel but want to share the love with your kids? 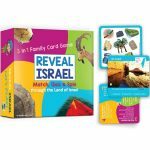 Explore 73 different locations around Israel via Match, Quiz and SPIN games with 90 double sided play cards. KIDS: Make the whole family get into the Hannukah mood. 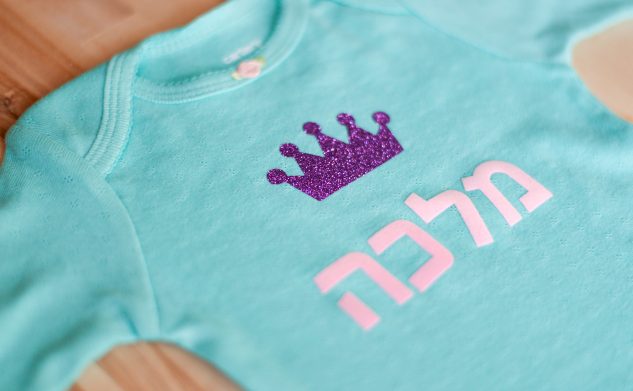 This Hannukah shirt or onesie makes the perfect holiday outfit! FRIENDS: All of us have this one friend who loves wearing funny holiday sweaters- this gift is for him! Want to learn Hebrew? Join us on Instagram! Learn Hebrew with Isralove on Instagram: a new Hebrew word for each letter. 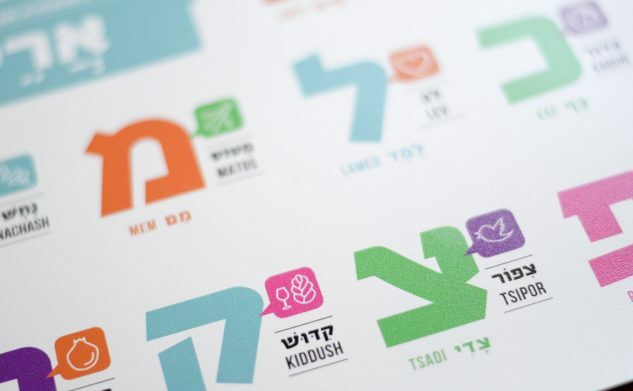 Follow us on Instagram or get this awesome Hebrew Alphabet placemat and make mealtime fun.